A letter citing several concerns about Atlantic Union College (AUC) was recently circulated by students who choose to remain anonymous. No doubt this has caused students, faculty, staff, alumni, the Atlantic Union constituents, and the community at large to be concerned regarding the state of AUC at this time. Atlantic Union College is open, and fall semester 2017 classes begin August 27 for certificate programs and August 28 for degree programs. The current degree programs offered are a B.A. in either Theology or Religion and a B.S. in Health Sciences/Biology, as well as several certificate programs. The college continues to follow the guidelines established by the Commonwealth of Massachusetts Department of Higher Education for operation during this period of transition toward accreditation. Maintaining the college operation during the reopening and accreditation period has required great financial sacrifice by all of our conferences in the Atlantic Union, of which we are very thankful. The college has fulfilled all financial commitments with outside creditors and has reduced its internal debts by $3.8 million as of May 2017. 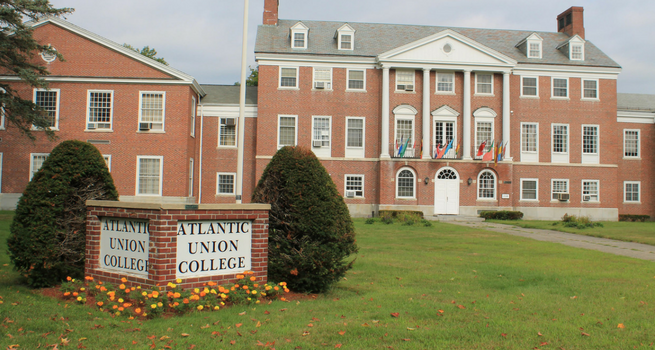 The most recent Atlantic Union College Audited Financial Statement indicates a healthy and sustainable financial environment for the school under the current operation. It is known that subsidies from each of the conferences represent the largest income for the college. Any reduction in the coming years will place a huge burden on the operation and the college will need to adjust accordingly. The college administration has maintained strict financial measures, established proper internal controls, and reduced costs in operation by eliminating all unnecessary expenses, while providing employee benefits, student services, and community engagements. Our commitment is to ensure that every dollar invested in higher education in the Atlantic Union’s territory is accounted for and is administered under the highest standards of transparency. The college is working with a New England Association of Schools and Colleges (NEASC) consultant who is dedicated to assisting AUC in obtaining full NEASC accreditation. AUC previously withdrew accreditation applications from two accrediting bodies, primarily for incongruence of their tenets with the Adventist doctrine. Accreditation is important, but not at the risk of compromise. To date, there are articulation agreements with Southwestern University and Andrews University. In the interest of the academic standing of students, the college is working to obtain articulation agreements with other Adventist institutions of higher education. An articulation agreement is an approved agreement between two or more institutions that allows a student to apply credits earned in specific programs at one institution toward a specific program at the other institution. The Atlantic Union Conference Executive Committee, on the recommendation of the North American Division Education Department, voted to establish an independent task force to conduct a feasibility study to determine the sustainability of the college in this current environment. In an effort to be transparent, AUC utilizes several methods to communicate with the students, staff, faculty, Atlantic Union community, as well as local entities. The doors are open to any student who wishes to dialogue with administration and get further clarity on their concerns. The Atlantic Union Conference administration, in addition to the college leadership, remains fully engaged in a productive outcome, continued stability, increased enrollment, and full accreditation of Atlantic Union College. The college will continue to provide updates as information becomes available about enrollment, accreditation, the work of the task force, and other developments. We continue to solicit your prayers and support as we move forward in this process of securing full accreditation for Atlantic Union College.